Inside: How to get the best Mother’s Day gifts for Single Moms. It was one of the first really warm days of spring. (I know that may seem hard to believe if you live as far south as, say, Iowa, but here in northern Minnesota, sometimes the lakes are still icy on Mother’s Day. We went out for a walk and looked for signs of summer. That day, I got everything a single mother could want. We don’t really want stuff from our kids unless it is something useful that they made or something that will capture their littleness, like this or maybe this. What we want most of all is the stuff money can’t buy. One of the hard things about being a single mom is that you plan and cook every meal (or pay someone else to cook it if you have the money to go out to eat). Even when I was married, I did most of the cooking, but occasionally my husband would make a meal or help with ideas or start a meal before I got home. That just didn’t happen for me when I was the only adult in the home. One of the best Mother’s Day gifts for a single mom is to have a meal off from cooking and clean-up. I didn’t help cook or clean up that Mother’s Day. We made it a tradition. Sometimes I didn’t cook at all on Mother’s Day. Other times, I would make something simple in the evening. I love this tradition. I love doing fun things with my kids, but there are so many things in the way of that. I think this is true for any mom. We want to make happy memories with our kids because we know all too soon they will be grown and possibly living far away where we will not get to see them nearly enough. Too often we spend our time cooking, cleaning, and doing laundry and the day is gone before we have had a minute of fun with them. Tell your kids how you want to celebrate Mother’s Day. Yes, I did tell my darlings that I wanted them to make me brunch on Mother’s Day. They requested I buy a pancake mix because they weren’t yet ready to tackle them from scratch, although they did eventually make pancakes from scratch. You need to teach your kids how to celebrate someone else. You are not only doing this for yourself–which is reason enough–but you want them to one day be thoughtful considerate spouses one day. If you want a gift and your children are not old enough to make something by themselves, try making something together. This will also teach them that, often, homemade gifts are the most cherished. Soap or Candles are both doable, fun to make, and your children will be so proud when they see you using something that they helped make. 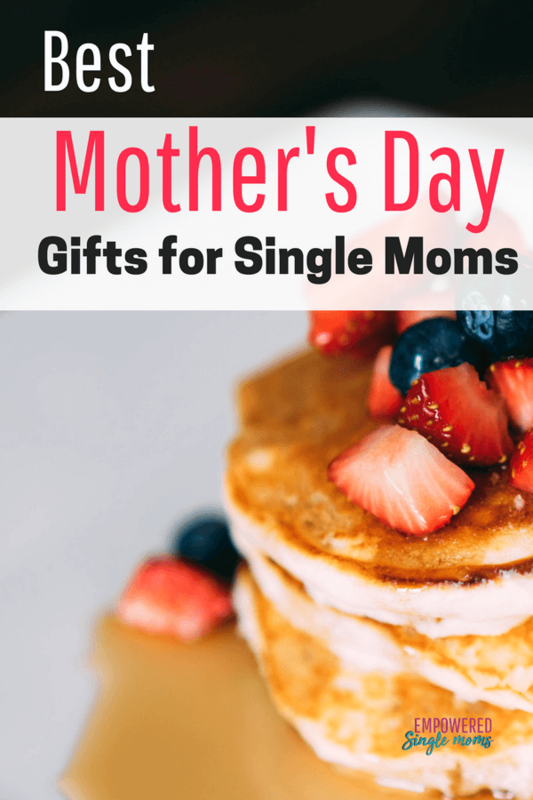 If you are looking for a gift to buy yourself try these gifts for single moms to make life easier. I cherish Mother’s Day with just the kids and myself. When I was an adult, my own mother has always lived far away from me, so I would send a gift and call her on the special day. If you want a more festive celebration and you live close to your own family, having Mother’s Day with the other women in your family can be fun. If you don’t live close to family and you want to include others in your celebration, try teaming up with another single mom and her kids. You could make a craft together, have a meal together that the kids prepare, or go on an outing together. Celebrate what you have in your life. I know this was not your plan, but it can be a pretty great life. You have these little people who adore you (or they once did and if you have teenagers, trust me once again they will see you as a wise woman). Take a moment to be grateful for all the wonderful memories you are making with them. The memories that aren’t so great will one day make great stories. With some distance, you will see the humor even if you don’t see it at the time. Don’t leave your special day to chance. You are amazing and you deserve to celebrate Mother’s Day and teach your children how to make it a wonderful day. Wondering what to get mom for Christmas? 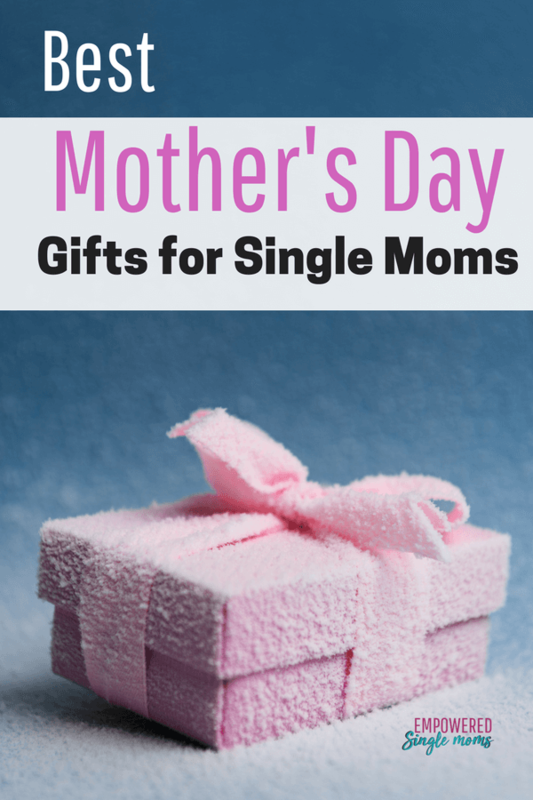 Get more gift ideas for single moms here. I don’t want you to ever feel alone. I made a private Facebook group just for you. In Empowered Single Mom Tribe we walk the journey of single mothering together giving each other encouragement and a word of advice when needed. We would love for you to join us.